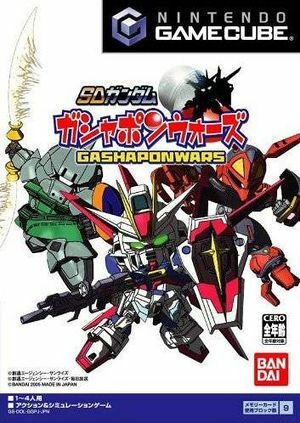 SD Gundam Gashapon Wars (SDガンダム ガシャポンウォーズ) is a strategy video game based on the Gundam anime franchise. Created by BEC, it was released in 2005 only in Japan. The game is similar to the prior SD Gundam G Generation series of games, but remade with cute graphics and easier combat to be appealing to children. Furthermore, Gashapon Wars has lost the RPG elements within G Generation, such as turn-based combat. This page was last edited on 1 August 2018, at 10:00.